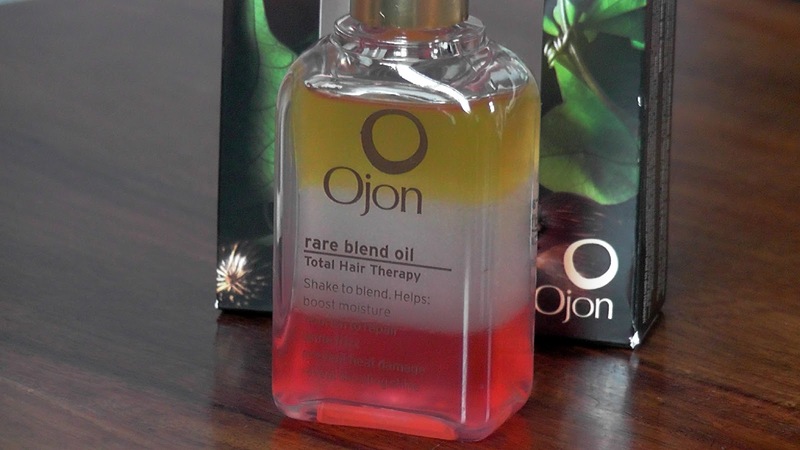 Ojon have recently released something quite stunning in the way of a new hair oil. 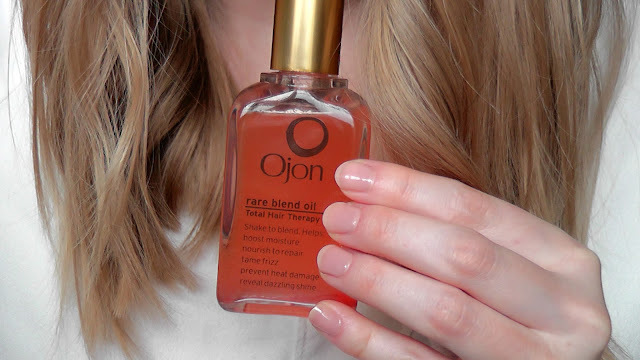 The Rare Blend Oil Total Therapy is made up of 6 natural oils combined with pure Ojon Oil, known as the 500 year old rainforest beauty secret. Not only does it boost moisture, it also claims to nourish to repair, tame frizz, protect against heat damage and leave your locks with a glossy shine, now that's a whole lotta promises in one little bottle. It sits in all it's glory in 3 different layers, fading up from a orangey red, to clear, to a vibrant yellow and once shaken to blend and activate, it becomes a beautiful shade of coral. Two drops is all you'll need run through the very ends of damp hair revealing healthy, soft tips, any more than that though and you can look a little 'slick'. The scent reminds me very much of the Macadamia Healing Oil Treatment, although a lot lighter in texture which I prefer as it tends not to weigh the hair down. It does however, have one negative for the fact that it's without a pump, making it extremely difficult to control and you end up pouring out a lot more than you need, although I feel I may have solved this slight problem with the help of a plastic, disposable pipette by dipping it into the oil, taking what you need and anything that's left can be put straight back in. Simples. For my first taste of Ojon, I'm rather impressed and my strands have been left thirsty for more. A pretty teeny 45ml bottle will cost you a smooth £29 and can be found at any Ojon counter or on their site. Speaking of Ojon counters.. rumour has it that on November 8th Ojon are having a trade-in day. Take along an empty bottle of any, yes any, branded shampoo to your nearest participating store and receive a full size Dry Recovery Shampoo and Conditioner duo worth £41.50. I know my alarm will be set early for that morning so I'm front of the line, it's a deal not to be missed! Can you recommend any other Ojon products for me to try? I have a couple of products from Ojon and I really like them! Now..I want this oil!! Do you know of any online stores/websites I can purchase their products from? Thank you!! I'm almost done with a sample of this and am quite loving it! Honestly I didn't really expect much, but I've found it does make a difference...at least difference enough to make a full-sized purchase! :-) Keeps my hair super soft, moisturized, and I am grateful it helps as a heat protectant. I was looking around for some reviews of this and everyone's saying that they love it! Could you use it as a heat protectant also?